To commemorate the Hubble Space Telescope's 19 years of historic, trailblazing science, the orbiting telescope has photographed a peculiar system of galaxies known as Arp 194. This interacting group contains several galaxies, along with a "cosmic fountain" of stars, gas, and dust that stretches over 100,000 light-years. The northern (upper) component of Arp 194 appears as a haphazard collection of dusty spiral arms, bright blue star-forming regions, and at least two galaxy nuclei that appear to be connected and in the early stages of merging. A third, relatively normal, spiral galaxy appears off to the right. The southern (lower) component of the galaxy group contains a single large spiral galaxy with its own blue star-forming regions. Franz Jantzen will give a talk about Disambiguation, his exhibition of new large-scale digital image constructions currently on exhibit at MPA. "The M Street Project" photographer Ken D. Ashton traveled M Street, a central artery in the nation's capital, which starts at the Key Bridge and ends near the National Arboretum. Friday, 9 pm - 12 p.m. Artist Jean Shin speaks about her ground breaking work converting everyday objects, such as empty pill bottles, into site-specific assemblages. Reception follows with refreshments by Cowgirl Creamery. Although not an art historian himself, he calls "the creation of new knowledge" one of the "core values" that he wants to emphasize at the Hirshhorn. That extends to the exhibition program, which he imagines being tightly focused, without an empty-headed blockbuster in sight. "Never once -- never once -- have I decided on an exhibition because the attendance was going to be phenomenal. Never once. Never." The Hirshhorn can never forget that it exists only to foster creativity, he says, and to spread word of it. "It's not a corporation. ...part of Koshalek's appeal to the museum was his belief in contemporary artists -- a central tenet of the Hirshhorn tradition -- and his desire to get them involved in almost every aspect of the institution, from education to building planning ... "Richard will be able to get these artists to do things they don't even know they want to do." And that, he says, will help spread word of the Hirshhorn. The Arlington Artists Alliance spring show and sale will feature over 25 artists in both 2D and 3D. Wall artists include watercolorists, oil and acrylic painters, and potters and glass artists. Music by blues guitarist Tommy Peters, light refreshments." Local Poet Peter Lattu reads from his works inspired by the art exhibits at The Athenaeum. Plus: Alexandrians with poems of all sorts! PostSecret creator Frank Warren will be signing books from 7-8:30PM. Books will be available for purchase. In November 2004, Maryland resident Frank Warren launched a community art project that would soon become a worldwide phenomenon known as PostSecret. By handing out postcards and leaving them in public places around Washington, D.C, Warren invited strangers to anonymously send him their secrets. Within one month, Warren received more than 150 postcards and today he has collected over 350,000 postcards...and counting! 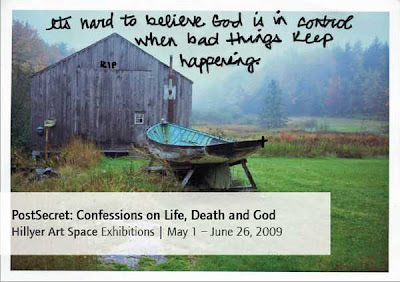 The exhibit, PostSecret: Confessions on Life, Death and God, takes its title from Warren's upcoming book expected to be released in the fall of this year. The displayed postcards unearth a myriad of private thoughts concerning spirituality, religion and faith. Addictively compelling, the cards reveal our deepest fears, desires, regrets and obsessions. Warren calls them "graphic haiku," beautiful, elegant and small in structure but emotionally powerful. Greater Reston Arts Center presents spring 2009 Focus Exhibitions featuring John M. Adams, Stephanie George, and Jessie Lehson. Each artist’s work explores archetypal issues of spirituality, dreams, and collective memory from a distinct perspective. John M. Adams will exhibit acrylic on birch panel paintings from his Sitting Still series. John M. Adams breathes fresh air into abstraction by subjecting his paintings to a fine tension created between meticulous craftsmanship and an open-ended, “anything-can-happen” process. Stephanie George will show, Driving in Air, large-scale, colorful monoprints based on her dreams. “Am sitting in a chair when fish start appearing before me,” begins an entry in Stephanie George’s dream journal. In Green/house Baltimore artist Jessie Lehson will exhibit drawings, sculpture, and installations informed by her interest in vernacular architecture, historical pigments, and spirituality. Jessie Lehson collects dirt and uses it to make art that is so un-dirt-like, so minimalist, and elegant that it might be called “soil” or “earth”. But “dirt” is the better word. Our changing natural world is recorded in this exhibition by drawing, collage and cement relief sculpture interpreting wind and weather. The loss of nature's most beautiful sculptures, the glaciers, are remembered with large fabric relief sculptures. 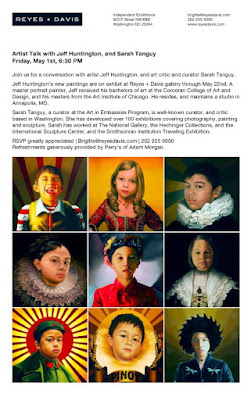 May 1st reception from 6-8pm. Between Florida Ave and R Street. 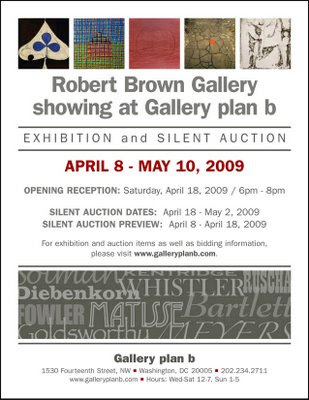 Paintings will be on display until May 30.2009. Every Friday, museum staff as well as local artists, scholars, and people from a variety of viewpoints share their insights with visitors and encourage dialogue about the works on view. Podcasts of selected Friday Gallery Talks are available online at www.hirshhorn.si.edu. Meet at the Information Desk. There is no charge for this program. Hirshhorn curator Evelyn Hankins and Los Angeles-based artist Walead Beshty will discuss his Directions project, which includes photographs and sculptures that reconsider some of the fundamental premises of modern art. Washington Project for the Arts is bringing back First Fridays. These upcoming events will be held in conjunction with the ongoing First Friday Art Walks held by the Galleries of Dupont Circle. Tom will discuss the influence of the teachings of Sufi Mystics on his work and will be available to answer questions. If you missed the opening of his installation, Secret Garden, come by to see his elaborate collection of small works and essays hung from ceiling to floor throughout our office! Reception at 5:30 pm followed by the talk at 6:30 pm. In this next 'coup', Anita Walsh transforms WPA's office space into a mobile studio where she will capture input from visitors based on their reactions to different colors. Visitors' thoughts will be captured and typed on sheets of paper made by the artist from old crayon wrappers. Sunday, May 3 at 12:00am. 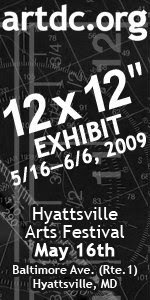 "12 x 12 show artdc.org in Hyattsville" on Sunday, May 3 at 12:00am. Wednesday, April 29 from 11 AM to 12 PM. 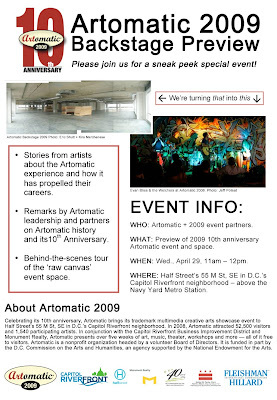 Artomatic will offer a sneak peek of their 10th anniversary event and space at Half Street's 55 M Street, SE in the Capitol Riverfront including tours of the space, remarks by Artomatic leaders and partners on Artomatic's history and anniversary, and stories by artists about their Artomatic experience and how it has propelled their careers. Refreshments and snacks will be provided. 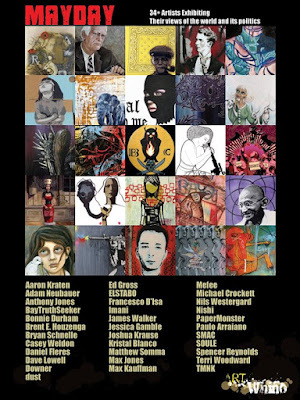 In conjunction with the Capitol Riverfront BID and Monument Realty, Artomatic, opening May 29th at 55 M Street, presents over five weeks of art, music, theater, workshops and more - all of it free to visitors. artomatic.org. Wednesdays and Thursdays: Noon – 10 p.m.
Fridays and Saturdays: Noon – 1 a.m. (except for special events. See calendar). Sundays: Noon – 10 p.m.
Patricia Zannie's collages are composed of snips of magazines and papers from around the world, which are used as paint, blending them with ink, oil pastels, and watercolor. Each collage is a unique interpretation of contemporary images and materials, sparking modern, worldly connections, while still reflecting her Zen-like intuitive approach to Art and Life. She focuses on the creative process, allowing each work to evolve without imposing parameters. Each collage becomes a leap of faith into the unknown, an adventure, each outcome a surprise. District Fine Arts will be hosting a book signing on May 2, 2009 from 2 to 4 pm celebrating the release of Personal Geography by Nancy Ostertag, a Washington, DC based photographer. Ostertag will be on hand to deliver an artist talk and to sign copies of her new book. The book signing coincides with the current shows at DFA, Personal Geography & Don't Fence Me In, featuring photographs by Ostertag and her mother, MH Ramona Swift which is on view until May 30, 2009. Personal Geography presents thirty stunning images created over the course of Ostertag's career in photography. Eighteen of these images are also on view at DFA. Ostertag has worked in all aspects of the profession, including as a proofer, a printer, an editor, and every kind of photographer. She has served as a photographer for the American Film Institute and Getty Images, and has trained with such esteemed photographers as Annie Liebovitz. ERICK - All Night Flight! 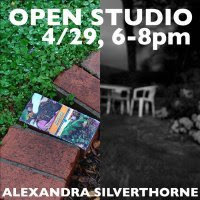 Join Heineman Myers Gallery on April 29th for an Open Studio Reception of Alexandra Silversthorne new projects. "Here’s a cure for cabin fever: a recession-priced escape to Manhattan." Home & Design Magazine is sponsoring an exhibition featuring the metro area's leading interior designers, architects, landscapers, builders & remodelers. The show will also include an Artisan Gallery featuring the latest designs from several invited artists, including DC Art Glass. 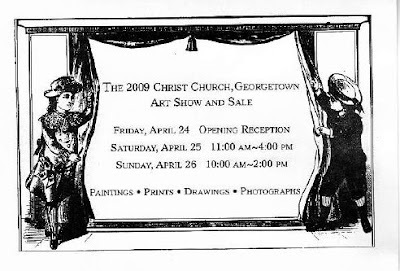 to benefit Christ Church, Georgetown Charities. Opening April 25, 7 p.m. The Honfleur Gallery will premiere Flaunt: Photography & Fashion Collaboration, a special exhibition showcasing emerging local talent in photography and fashion design. 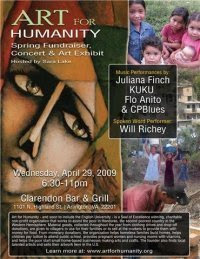 To highlight the synergy between the two mediums, the show will feature two events: an opening launch on Saturday, April 25, 2009, and a runway show on June 6, 2009. An artistic experiment of sorts, Flaunt aims to challenge and explore the notions of what constitutes fashion photography. "Running Wednesday through April 26, CraftWeek DC will attempt to place the jewel that is the Smithsonian Craft Show in a setting that includes a host of satellite craft exhibitions at area galleries, open studios, artist demonstrations, parties and educational programming. 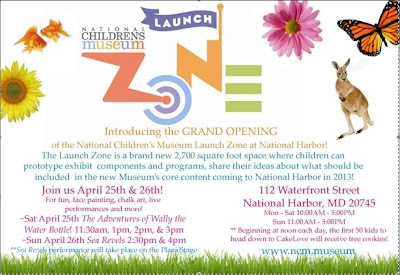 Events take place in Maryland, Virginia and the District, and most are open to the public. The offerings run the gamut, from the silly to the scholarly, with stuff to listen to, to look at and, of course, to buy." The exhibit runs May 1st through June 13th. 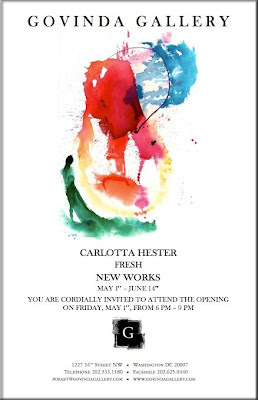 Opening reception: Friday, May 1st, from 6-9. JUNGIAN ANALYST / JULIE BONDANZA, Ph.D. Date: Saturday, May 16, 9a.m.-4:30p.m. Registration deadline: Friday, May 8, 5p.m. The economic crisis is having a large impact on the art world, but what does this mean for individual artists? What can artists do to prepare, survive, and even thrive during a recession? The Spring 2009 Business of Art Conference will look at the recession’s impact on the arts with input from art world professionals,accountants, artists and others. The Low Down will start with a candid panel discussion about the effects of the current economy on the art world from the perspective of galleries, nonprofits, foundations and city government. An afternoon seminar will provide concrete financial planning advice geared toward the needs of artists. The day will conclude with a panel of artists sharing their experiences and new ideas of how to navigate and redefining the art world. Complete conference schedule available online. Discounted tickets available for NYU students, staff and faculty. Registration deadline: Friday, May 8, 5.pm. Please contact NYFA if you are having any trouble registering online, and we will take your registration over the phone. Questions: Contact Jocelyn Elliott at jelliott@nyfa.org or 212 366 6900 x249. Organized by the New York Foundation for the Arts, the conferences are made possible by a generous grant from the Emily Hall Tremaine Foundation and McGraw-Hill. Additional support is provided by the Department of Art and Art Professions, New York University Steinhardt School of Education. "This spring, Passport DC will highlight Washington, DC’s unique status as home to more embassies than any other city in the world. April 30 through May 9, 2009, Cultural Tourism DC coordinates a large-scale, open house event at more than 30 embassies. Visitors are invited inside to experience the music, dance, crafts, and cuisine of many nations, creating an exciting global journey." Keeping creativity alive, especially to a working artist, is as important to the soul as good nutrition is for the well being of the body. It is, as C.G. Jung said, one of the five basic instincts. As such, it is necessary for the unfolding of the psyche in art as well as in everyday life. In this two hour lecture-discussion, Dr Bondanza will explore archetypal images of the creative process to uncover applications practical to present-day problems of creativity. The archetypal dynamics of the creative process will be demonstrated through a selection of creation myths, dreams, and fairy tales. Julie Bondanza, PhD is a Jungian analyst and licensed psychologist in private practice in Takoma Park MD. She has taught extensively on archetypal themes to analysts in training, artists, and people interested in Jungian psychology. The first annual CraftWeek DC takes place April 22 - 26, 2009. A citywide celebration of crafts in our Nation’s capital, each day offers activities focus ed on every craft medium from ceramics, fiber, glass, metal to wood, and includes exhibits, artist demonstrations, gallery receptions, lectures, plus other activities. Two nationally recognized studio craft events will also take place – the prestigious juried Smithsonian Craft Show and the James Renwick Alliance Spring Craft Weekend, including the Masters of the Medium symposium featuring the five master artists. 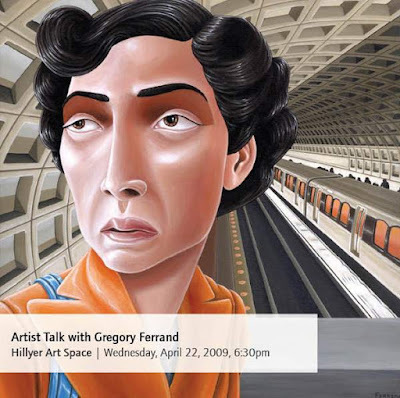 International Arts & Artists invites you to Hillyer Art Space for an evening with currently featured artist Gregory Ferrand. Ferrand's exhibit, La Vida Intensa, opened with great success last month with a nearly sold-out show and a record-breaking crowd to IA&A's Hillyer Art Space's First Friday. La Vida Intensa features Gregory Ferrand's most recent works in acrylic. Ferrand's background in film is evident in his strongly narrative paintings which usually capture a climactic moment in a character's life. Through his exaggerated rendering and saturated colors, Ferrand aims to paint life. "No matter how exotic or mundane the setting of the painting or drawing," says Ferrand, "I strive to tell stories about characters and situations that do, have and will exist..."
For information about the event, please contact Chelsea Emsellem, events coordinator, (202)338-0680. 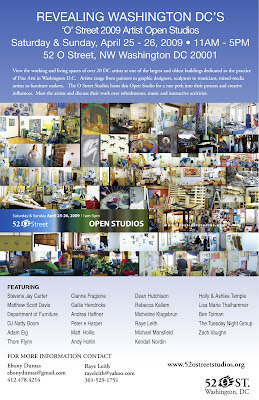 THE 52 O STREET STUDIOS community hosts this Open Studio for a rare peak into their process and creative influences. Meet the artists and discuss their work over refreshments, music and interactive activities. 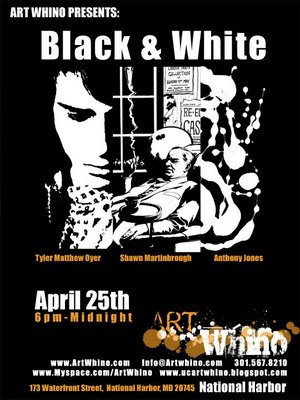 Black and White is a show bringing together three very different genres of art and effectively taking a cross section of formal, comic book, and abstract styles that each present very different approaches to art that formally relies solely on the positive and negative spatial tension between black and white. Three separate series will be featured; "MEN" by Tyler Matthew Oyer, Black Ink Noir by Shawn Martinbrough, and Black Ink Abstract Series by Anthony Patrick Jones II. Together they will create an exhibition focused on the aesthetic and intrinsically dualistic elements of black and white compositions. Washington Project for the Arts is excited to participate in the JRA & Smithsonian's first annual Craftweek DC by hosting a lively discussion on the subject of "Art vs. Craft". 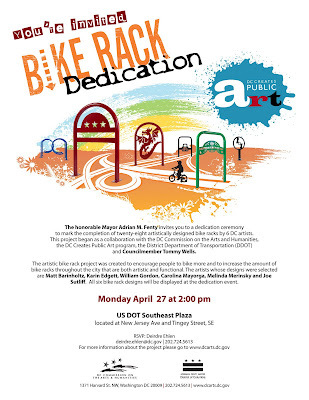 The event will take place on Wednesday, April 22nd from 5:30 - 7:30pm at the WPA headquarters in Dupont Circle. Curator and art critic, Jeffry Cudlin, will moderate a panel discussion between members of both the art and craft communities in DC- revealing their thoughts on what differentiates the two 'sides'. The discussion provides a framework for understanding the concepts and breaking down the divide between what is considered fine art and craft. When all is said and done, panelists and audience members will be invited to participate in our very first Art vs. 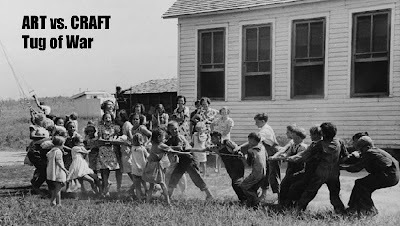 Craft tug-of-war on a nearby grassy knoll (rain or shine). The tug, a metaphor for the discussion, is a fun way to illustrate the way some artists dance between both realms while others live on one side or the other. The Washington Sculptors Group and the Washington Project for the Arts invite all artists to join one another at the Warehouse Cafe from 6-8 on Tuesday April 21st. Meet. Talk. Share ideas, Plan projects together. Solve problems. In person. Live. IRL. Together. MT. VERNON SQ. (Green/Yellow Lines): 1 Block â€" walk south on 7th St.
GALLERY PLACE â€" Chinatown Exit (Red/Green/Yellow Lines): 4 Blocks â€" walk north on 7th St.
An art show collaboration with Willco Residential, Urbanpace and The Pink Line Project. ARTISTS: DECOY, Eve Hennessa, Susan Noyes, Mary Ott, Cory Oberndorfer, Andres Tremols, and Colin Winterbottom. Two gorgeous tri-plex lofts and a one bedroom filled with artwork in all mediums. Two prominent Washington DC collectors (to remain anonymous) will be placing works from their collection on the secondary market for the first time. In addition, The Pink Line Project is executing a site-specific urban art installation by DECOY. Current Gallery presents Alphabet: An Exhibition of Hand-Drawn Lettering and Experimental Typography, organized by Post Typography and Artscape. 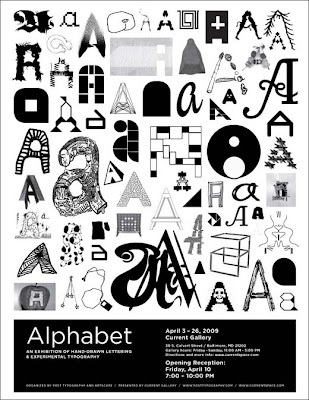 Following the successful opening exhibition in July 2005 at the Maryland Institute College of Art in Baltimore, Alphabet has been traveling nationally, and is now coming home to Baltimore. Focusing on an ordinary subject that we see each day, often in the hundreds of thousands, Alphabet presents 26 letters as more than just shapes for conveying information. The 51 artists and designers in this show conceive and interpret the alphabet in surprising and inventive ways, ranging from graceful and polished to witty and subversive. The 63 alphabets featured in Alphabet were created by artists in North America, Europe, and Asia, representing work from well-known typographers such as Ed Fella and Ken Barber to young, rising artists such as Sweden’s Hjärta Smärta and Andrew Jeffrey Wright of Philadelphia’s Space 1026. Current is located at 30 S. Calvert, Baltimore, MD. Gallery hours are Friday through Sunday, 11am-3pm, and by appointment. A one-day juried fine art and craft show and sale featuring the work of 40 local and regional visual artists. McLean Central Park will reverberate with the sights and sounds of art and music on Sunday, October 4th at the 3rd annual MPAartfest. Last year’s event drew 4,500 art and music devotees. For those of you who are still checking off your "to see" lists, Nevin Kelly Gallery has extended H. Wesley Wheeler's solo exhibition through April 18th. With an exquisite instinct for balancing composition, color and energy, Wheeler creates canvases on which each of us may overlay our own sense of mood and meaning. To see more of H. Wesley Wheeler's work, click HERE. HOME this Friday, April 17! Bomani Armah is a part of the new wave of hip-hop music that's challenging the status quo. Whether performing a capella, with a DJ, or his six piece funk/go-go band Project Mayhem, Bomani is a must see live! As he so aptly puts it "I'm not a rapper, I'm a poet with a hip-hop style". 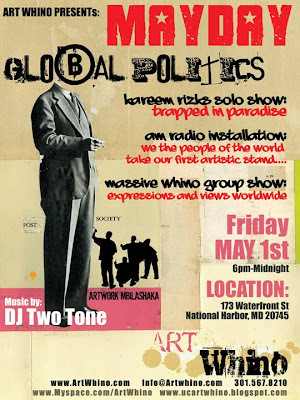 In 2005 he joined forces with visual artist Gemal Woods and now operates Park Triangle Productions, a multi-media studio based in Northwest DC. 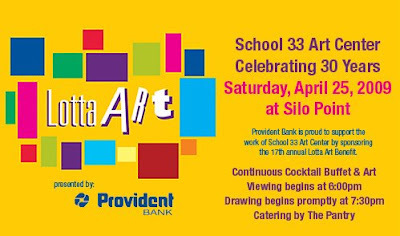 School 33 Art Center presents an evening of art, food and fun! Lotta Art features juried art by more than 125 local artists who have generously donated their work to benefit education programs and exhibitions at School 33 Art Center. Each art ticket holder is guaranteed a work of art in a lottery-style drawing. The Historic Dupont Circle Annual Spring Fling event! You can buy your tickets now to the Spring Fling, being held at the historic Carnegie Institution on April 21 from 6-9 pm (1530 PStreet). Everybody is welcome, and you just may go home with a value priced vacation, oriental rug, restaurant meals, original artwork, gym membership, a house history, a sailboat cruise on the Chesapeake Bay, a great vacation in Cape May, or even a new bike! *Historic Dupont Circle Main Streets will reveal completed landscaping and irrigation plans for the Connecticut Avenue median project (between R and T Streets). "I've learned a lot that's relevant to collectors and artists since opening the Chicago office of the Briddge Group, who some of you probably know as the country's leading Art Succession Planners, while working closely with its founder, Michael Mendelsohn." Yes and that Athens, Georgia - America! with good music to boot. 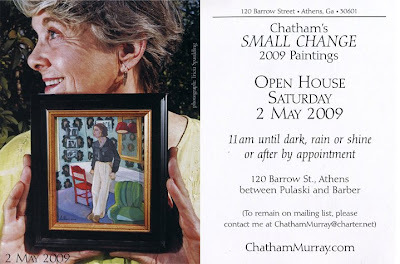 Artist Chatham Murray has been a painter in Athens, Ga., for 30 years. Her work graces many homes and businesses in the Northeast Georgia area. 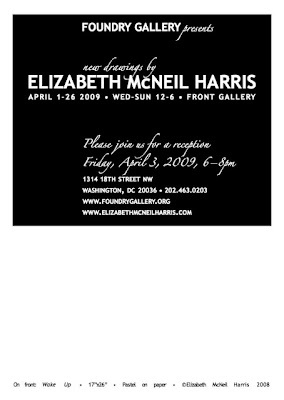 If you are going to be in the area, stop by, visit and see her new work and take home a painting for your collection. Say hello for me! There's a fire ring outside, so it's a good spot for people to visit and listen to some homemade music. 12,000 sq. ft Space in Crystal City! Inked Souls is back, and Art Whino is raising the bar on its most anticipated exhibition of the year with an amazing new line up and expansion of the show to include photography! The Crystal City BID and Art Whino have teamed up to host the Inked Souls exhibition, featuring customized sneakers and fine art by local, national and international leaders in the Pop Surrealism/Urban Contemporary art movement. This provocative exhibit will showcase paired works of customized sneakers and canvases from 30 artists from around the world as well as images from select photographers. The FREE exhibit will be held in newly renovated retail space, donated by Lowe Enterprises Real Estate Group, at the corner of 23rd Street and Crystal Drive. Inked Souls will offer multiple dimensions in art, music and performances, so be sure to check it out! For more details, go to www.crystalcity.org. Art Whino is teaming up with the Crystal City Business Improvement District (BID) and Tagr sneaker company to bring you an incredible exhibition of one-of-a-kind, customized sneakers, paintings, and photography. Each artist will feature one pair of customized AKA Blank Tagr sneakers along with a painting. Four photographers will be featured whose subject matter rangers from 80's Breakers to customized semi trucks. Special live performance by Big Benz from TTM Entertainment. Special Appearance and Performance by Los Angeles Finest.....DJ HEAVY GRINDER! THE DOCUMENT will be doing a special Break dance Performance. Metro Accessible: The metro stop is a 2 minute walk! AM Radio in the house! Am Radio Crew have blown up a HUGE mural in the space! Along with the mural, World Class Cuts will be supplying a Barber chair and 2 barbers to give you a old school fade. Yes old school fade! AM Radio is a collective of visual artists, whose mission is to infuse the raw elements of sound and texture to inspire life. 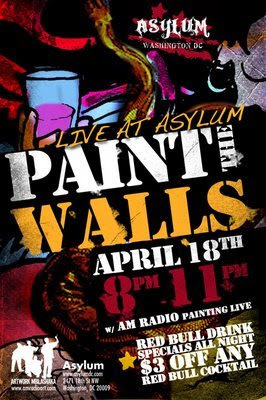 The creative process incorporates the work of artists and DJs to paint large compositions before live audiences. With each painting taking approximately four hours to complete, the technique is a challenge of graphic resourcefulness. It compresses the creative experience into spontaneous reactions of time, space and energy - a result that captures the mood, sound and electricity of the environment. Jazriock, Adrian Akerman and crew activate the space with amazing huge pieces throughout the exhibit! Jazirock hit the Charm City graffiti scene at 12 and made the transition from street graffiti to canvas in the mid-1990s. Today, he takes what he learned growing up in the streets of southwest Baltimore and from the Baltimore graffiti artists that mentored him, and applies it to the world of fine art, creating volume and texture that give life to abstract, socio political and pop culture images and scenes. Frequently, Jazi seeks to express a playful presence in his soul that translates to paintings that tap into the world of the child within us all. For example, the character Pinocchio is an iconic figure that appears in his work. Jazi has produced work for Red Bull, Adidas, rapper Paul Wall and the Washington Childrens Hospital charity events. He has shown and performed at Art Whino (where his work is in the permanent gallery) the Low-Fi Social Club (The Bugout) and Joes2 (Nothin but the Breaks) in Baltimore and at Artomatic, where he designs and paints many of the performance spaces each year. He often paints live, this past weekend performing live at a street art party at Rockstar Bar, in Williamsburg, NYC. Bring your favorite T-shirt and Sweatshirts. Truth among liars will have a customizable silk screen station. They will be silk screening a truth among liars design, Inked Souls logo and Art Whino logo on your shirts! They have a wheat paste style mural in the space as well! Tim Slayton is the founder and principle artist for Truth Among Liars..., an art, clothing and design collective based in Washington DC. He showcases his skill as a visual street artist using graffiti, wheat paste, digital art, silk screened canvas and clothing to create the simple, yet gritty and thought provoking images and designs that dominate the Truth Among Liars style. This collective was developed with the idea of informing the masses of the balance between opposites in all aspects of life particularly fact and fiction. Black Cats Resident DJ Lil'e, aka Erin Myers, specializes in rare extended mixes and one-hit wonders whose names have been swallowed by time. Remember Flesh for Lulu, Kon Kan or Anything Box? But Lil'e does not sacrifice a solid dance floor just to showcase her extensive record collection. Lil'e, 32, who started "Right Round" in 2002, focuses on skillful mixing, but she still finds a few moments of each song to step back from her mixer and do a little dancing herself. When she plays at other venues such as Felix or Saint-Ex, Lil'e strays far from the '80s, breaking out underground hip-hop, big beat and assorted electronica. Take The Money Entertainment is an Independent Label, as well as a Public Recording Studio founded by Robbie Sanchez and Brandon “Big Benz” Martin. “TTM” Entertainment offers an array of services for musicians and recording artists of all skill levels. As a Record Label, TTM offers such services as “Artist Development”, “Promotion”, Album Scheduling/Release, and Distribution. Tagür is a dynamic sneaker company that allows the consumer to become the producer. Any artist whether internationally renowned or novice can have a shot of having their own sneaker line. You are the artist, you are the market, you deem what is legit. A panel discussion on collecting, coveting, and the connoisseurship of drawing with artists Kate McGraw, Ann Tarantino, and Allison G. Marvin, collector, and Luis Silva, Professor and Chair of the Department of Art, American University. 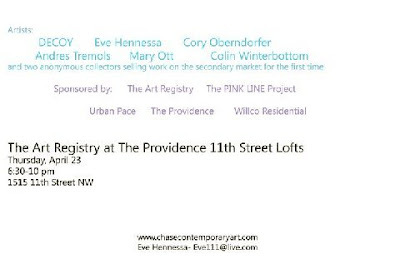 Moderated by Philippa Hughes, The Pink Line Project. Lunch generously provided by Ella's Pizza. For more information on the Workbook installation, visit www.wedrawdc.com. CraftWeek DC is a unique opportunity to see studio crafts at their best and meet the makers, from internationally recognized artists to up-and-coming artists exhibiting for the first time at the Smithsonian Craft Show. Events celebrate as well, the growing community of artists and galleries in the Washington, DC area involved in creating and showing sculptural and functional objects. A first for this area is an exhibition by Penland School of Crafts in North Carolina opening at Habatat Galleries, Tysons Corner, VA. On Saturday morning, April 25, the James Renwick Alliance and the Smithsonian American Art Museum host a symposium at which artists honored by the Alliance’s Master of the Medium award will speak on their life in craft. Speaking at the Smithsonian Craft Show on a ceramic architectural installation is noted ceramist Wayne Higby, Professor and Robert C. Turner Chair of Ceramic Arts at New York State College of Ceramics at Alfred University. An exhibit of Higby’s sculptural work is on display at the Cosmos Club in Washington, DC. Student's public art to spruce up downtown D.C.
"I'm only about three months away from install, and it's still hard to imagine what it will look like, but it will be big, that's for sure,' Kerber said of the piece commissioned by the D.C. Commission on the Arts and Humanities in conjunction with Lowe Enterprises. This piece of public art is not for the 5th and K corner - but rather a decorative grate to beautify the large fresh air intake grate adjacent to Busboys' 5th Street entrance. Studies of architectural spaces abstracted and executed in recycled wool. Derived from found photographs, these images are translated to a larger scale using recycled fabric and stitching. "Grateful Life," a Dead-centric exhibit by psychedelic rock-and-roll artist Stanley Mouse, opened Monday at Govinda Gallery. Swiss architect Peter Zumthor has been named the winner of the 2009 Pritzker Architecture Prize, architecture's highest honor, and will receive a $100,000 cash prize and bronze medal in Buenos Aires, Argentina, on May 29. Laura Roulet, exhibit curator and Joann Moser, Senior Curator of Graphic Arts, Smithsonian American Art Museum, will discuss the artist's work. In the Phillips’s serene galleries, Jim Goodwin and Erin Wilhelm, longtime practitioners of guided meditation, discuss Giorgio Morandi's use of ordinary objects and the meditative elements in everyday life. $35, $25 members, free for Circle members and Patrons. In his first solo show with G Fine Art, Chan Chao presents the new series Six Years and Eight Months. His portraits of the women of Santa Monica, a low-security prison in Lima, Peru were featured in the group show Portraits at G Fine Art in 2008. Now, in 2009 Chao presents a more complete set of portraits from the series. Because these women are not required to wear uniforms and the common areas don’t reflect a typical prison atmosphere Chao is able to capture portraits that relate true emotions and have open possibility for interpretation. With each project he has undertaken Chao makes efforts to avoid reinforcing a stereotype. In his restrained sensibility Chao unveils what initially drew him to these women, their extraordinary experiences and the sensations that come with those experiences. Chao’s photographs are in the permanent collection of Hirshhorn Museum and Sculpture Garden, The Corcoran Gallery of Art, The Whitney Museum of American Art, San Francisco Museum of Modern Art, L. A. County Museum of Art and LaSalle Bank Photography Collection. Tuesday, April 14, 2009, at 7:00pm. John D. Mason, an art and entertainment attorney and intellectual property attorney at The Intellectual Property Group, PLLC (www.artlaws.com) is on the Board of Directors of the Washington Area Lawyers for the Arts (www.thewala.org). He will be discussing legal matters related to art and artists, including copyright, trademark, and contract issues. The Artist Speaker Series is a succession of lectures given by established artists and art professionals to aid in the artistic and entrepreneurial development of So-Hamiltonian Fellows and other emerging artists. Please RSVP to jackie[at]hamiltoniangallery[dot]com for an outline of this lecture, so you may come prepared with questions if you'd like. 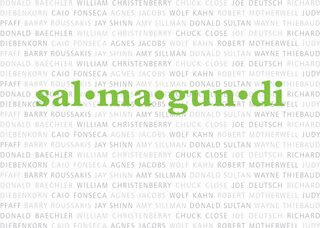 Tuesday, April 21, 2009, at 7:00pm at Hamiltonian Gallery, an artist talk will be given by the current three exhibiting artists - Lisa Montag Brotman, and Hamiltonian Fellows Tom Block and Michael Enn Sirvet. This exhibition will be on view until May 2, 2009. A lecture about artists and writers living in Mexico City in the early 20th century. 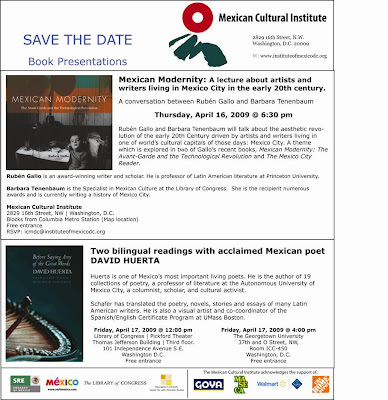 The Cultural Institute of Mexico in Washington, D.C.